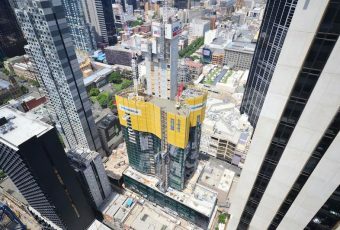 In a market that has seen demand for quality office space increase to near-record levels, the strata office suites on offer at Aurora Melbourne Central have been selling rapidly, with less than 25 per cent of the offices remaining. The Property Council of Australia released figures in January showing that demand for office space in the Melbourne CBD grew at more than three and a half times the average annual rate in the previous 12 months. Vacancy rates have fallen to 6.4 per cent driven by solid tenant demand, attractive pricing conditions in the leasing market and stock withdrawals. The sector has recorded its second-highest net demand figure on record. Businesses are increasingly opting to own, rather than lease, their office space with interest in strata offices coming from such diverse sectors as the legal community, diplomats and the development industry itself. On 11 February 2017, the Sydney Morning Herald reported that strata office has turned into a market darling during the past 18 months as spiking CBD property values push investors into smaller and smaller assets. Low interest rates have also made purchasing city properties more attractive.. UEM Sunrise said that the extremely low supply of strata offices in the CBD and immediate fringe has been driving demand from investors. Managing Director Mr Anwar Syahrin Abdul Ajib says that the Aurora Melbourne Central development was exceeding expectations. 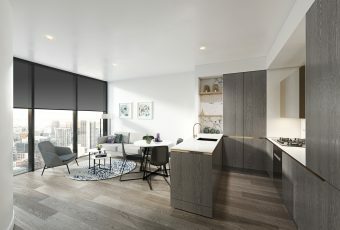 “We have sold 100 per cent of the residential units with record momentum and we are very pleased with the successful sale of over 75 per cent of the strata offices to date,” he said. 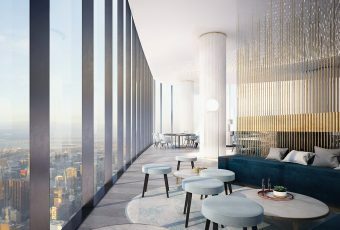 Aurora Melbourne Central will be the CBD’s largest mixed-use development, comprising residential, serviced apartments, retail and offices with direct connection to Melbourne Central train station. Mr Ajib says it’s the perfect location for commercial office spaces, with tenants able to take an elevator directly from the train station concourse up to their office. “This is the reason why we have seen a number of owner‐occupiers who have opted to purchase their office space instead of lease, as they understand that over the long term, such an asset will not only grow in value, but will be a convenient location for their clients,” he says. 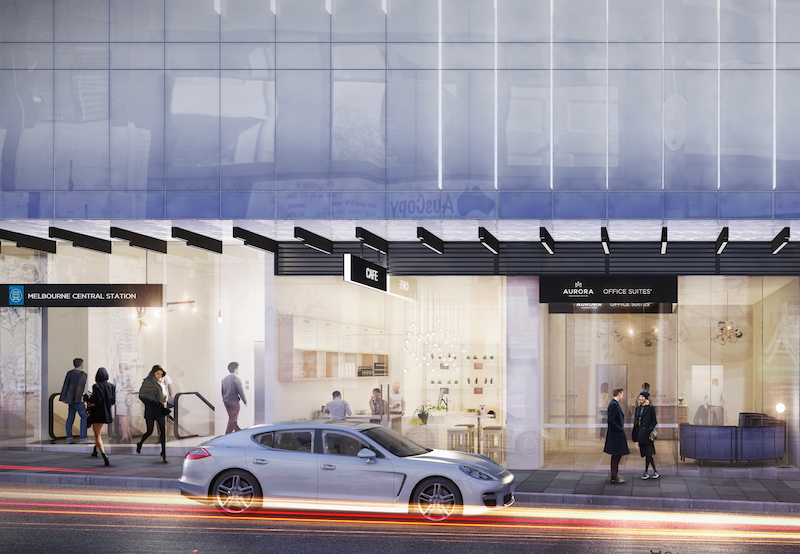 Aurora Melbourne Central will be a self-contained community, catering to every need. 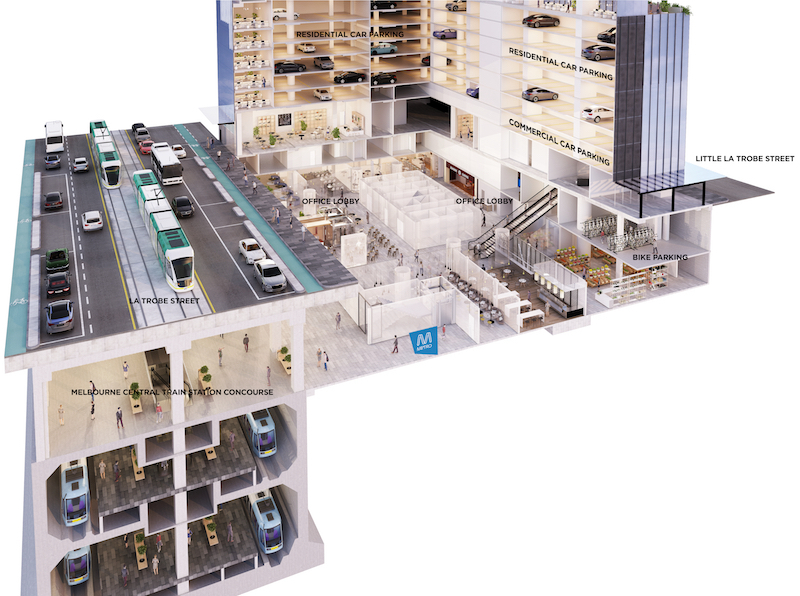 Office access is from dedicated lobbies directly from LaTrobe and Little LaTrobe Street, or via lifts from the lower ground floor cafes, restaurants and street-level signature retail. Offices are located at podium Levels 1 to 7, with commercial car parking also available within the podium. A limited selection of office spaces is still available, providing remarkable opportunities for owner-occupiers and investors, but the level of demand suggests that you will need to act now. To position yourself for success, contact marketing agents Colliers International today.